Jessie O’Maley, B.A, is a Therapeutic Support Provider with Child Focus, Inc. at the Wasserman Youth and Adolescent Center. Mrs. O’Maley earned her Bachelor of Arts degree in Psychology from Ohio University in Athens, Ohio in 1999. Prior to working at Child Focus, Inc., Mrs. O’Maley worked as an Adoption Caseworker and School Social Worker for Athens County Children Services for nine years and was a certified adoption assessor for private cases involved with Athens County Probate Court. Mrs. O’Maley served as a Board officer to the Athens County Child Advocacy Center, an agency which allows ongoing intra-agency collaboration for sexual abuse cases. Mrs. O’Maley attended three national Attach conferences for further training and education in Reactive Attachment Disorder. She has worked in close collaboration with My Sister’s Place Domestic Violence Shelter, Athens County Victim’s Assistance, and the Appalachian Peace and Justice Network. While working as a School Social Worker, Jessie taught Second Step Bullying Prevention Program in two elementary schools. Mrs. O’Maley started working at Child Focus, Inc. in August, 2014. She provides group behavioral and mental health services for youth in a partial hospitalization setting. In addition, she provides case management services to clients and their families. Bonnie Olds-Carson, MA, LPCC-S, is the Coordinator of Mental Health Services for the Genesis School through Child Focus, Inc. Bonnie provides treatment to students who have great difficulty with functioning in the typical classroom due to their behavior. She has been a part of the Genesis team since the fall of 2014. Bonnie began her career with Child Focus, Inc. in 2008 as a Therapeutic Support Provider (TSP). As a TSP, she provided case management services in schools, home and community to children and families throughout Clermont County. In 2011, after receiving her Professional Counselor License, she began to provide treatment to clients throughout Brown County schools, homes and pediatricians offices. During this time, Bonnie worked to develop the relationship between the community and CFI. Bonnie enjoys creative pursuits and incorporates creative expression in therapy on a regular basis. She also utilizes Dialectal Behavior Therapy (DBT) in many of her sessions and also leads a skills group for students in the Genesis School. She is currently seeking certification in DBT. 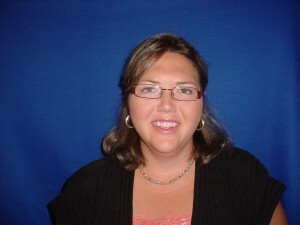 Jennifer Parham, MS, LPC, is a Child Focus, Inc. home-based and office-based therapist working at the Child Focus Mt. Carmel and Hamilton County locations. Jennifer received a graduate degree from Grand Canyon University in Professional Counseling in 2016. Jennifer has over 14 years’ experience working with families and children. Jennifer has significant experiencing working with parents of children with severe emotional dysregulation as well as trauma to improve family functioning and stability. Jennifer has experience working with children and adolescents who experience symptoms of anxiety, depression, anger outbursts, difficulty concentrating, defiant behaviors, and poor emotional regulation. Jordan Payne, B.A., earned his Bachelor of Arts degree in Humanities with a Minor in Psychology from Cincinnati Christian University in 2017. Mr. Payne is currently a Qualified Mental Health Specialist with Child Focus, Inc. at the Wasserman Youth and Adolescent Center (WYAC) Day Treatment Program, working with clients whose mental health issues prevent them from functioning in a typical school setting. Mr. Payne has served as a Combat Engineer in the U.S. Army Reserve since 2009, and as a Youth Minister for City Gospel Mission since 2010. Prior to working at Child Focus, Inc., Mr. Payne worked as a Para-Professional for Roberts Academy: A Paideia Learning Community, as a part of the 21st Century Community Learning Center Grant provided by the Ohio Department of Education. Laura Planck, LPN, graduated from Hondros College, School of Nursing, in 2010. She has been employed with Child Focus since 2013 as Program Nurse for the PH program. She is certified with first aid training and CPR / AED for Healthcare Providers through American Heart Association. She brings with her knowledge and expertise in a wide variety of care. She is focusing on the medical care of clients enrolled at Wasserman Youth and Adolescent Center by providing information for clients and their families on medications, psychiatrist’s appointments, administering medication during program and making sure everyone stays safe. Casey Posey, BA, QMHS, is a Qualified Mental Health Specialist focused on school-, community-, and home-based services. She graduated from the University of Cincinnati with her Bachelor of Arts degree in Sociology in April of 2018 and started working for Child Focus in July of 2018. She is responsible for Community Psychiatric Support Treatment (CPST) services, Therapeutic Behavioral Services (TBS) and prevention services for clients at Clermont Northeastern Schools and Grant Career Center. Casey plans on continuing her education and obtaining her Master’s degree in the near future. Alison Price, MA, LPCC, is a Child and Adolescent Therapist in the Community Mental Health Outreach program at Child Focus, Inc. providing services in the Forest Hills school district. Alison received her M.A. in Clinical Mental Health Counseling in August of 2015 from Xavier University. She currently provides child and adolescent counseling, family counseling, group counseling, consultation, and diagnosing/treatment of mental and emotional disorders. Alison is incredibly excited to serve the staff and young adults at Anderson High School. Jackie Pridemore, MA, LPC, received her undergraduate degree from Miami University in May 2014 where she majored in psychology and double minored in child studies and special education. She then went on to receive her Master of Art degree in Clinical Mental Health Counseling from the University of Cincinnati in April 2016. While there, she interned at a partial hospitalization/day treatment program where she provided individual, group, and family therapy to youth with extremely disruptive behavior. She has also provided alcohol and substance abuse treatment to patients presenting in the Emergency Room. Jackie started at Child Focus in June of 2016 as a Mental Health Therapist at Genesis. Erin Prindiville, BA, QMHS, is a qualified mental health specialist with the Juvenile Court Intensive Home-based team at Child Focus, Inc. She received her bachelor’s degree in 2008 from University of Cincinnati in criminal justice and psychology. Currently, Erin is in her master’s program with Walden University for mental health counseling. Erin started working at Child Focus, Inc. in the July 2011. She is part of a home-based team who closely works with Clermont County Juvenile Court and Probation. Clients are at-risk youth and young adults who have been referred from juvenile court and probation. Erin also works with the family and collaborates often with school staff, court officials, Clermont Recovery Center staff, and others involved in order to ensure beneficial treatment to the client. Focuses in treatment may include development and implementation of life skills such as healthy coping, problem-solving, communication, and decision-making. Erin meets with clients in the home, school, and juvenile detention center along with attending court hearings, wrap around meetings, and IEP/school meetings. Erin also co-leads Summer Empowerment groups during the summer months and Strengthening Families group alongside juvenile probation. Erin is also a member of the Clermont County Crisis Response Team. Bethany Puliafico BA, QMHS completed her Bachelor of Arts Degree as a Psychology major at The University of Cincinnati. Bethany also has a minor in Early Childhood Education and a Certificate in Substance Abuse Counseling. Bethany is currently pursuing a Master's degree in Clinical Counseling. Bethany provides school and community-based services at Felicity Franklin Schools, as well as New Richmond Middle School, and New Richmond High School. 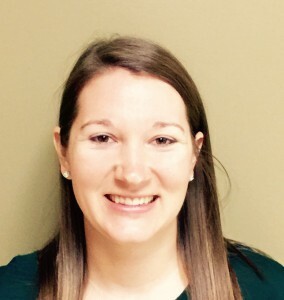 Elyse Pyle, MSW, LSW, is an outpatient therapist for Child Focus, Inc. In addition, she provides therapy in the Williamsburg School District one day a week. She has been working at Child Focus since December 2014. Elyse is a Licensed Social Worker since November 2014 and she received her Master’s in Social Work in May 2014 from The University of Akron. Through her social work internships, she gained experience working with children in individual and group therapy. Prior to getting her masters, Elyse completed her undergraduate degree at Ohio Wesleyan University in 2012 with a double major in Sociology and Spanish.